Singapore had a great year 2017 with local startups expanding globally, additional supports from the government and several initiatives being launched to foster development and boost the sector. 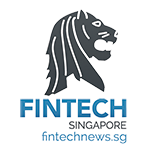 2018 promises to be an even more exciting year for fintech in Singapore as numerous startups prepare to tap into new markets, expand their offerings and grow into potential regional leaders. 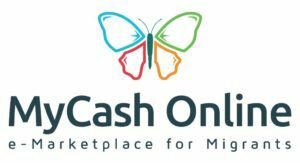 MyCash Online is an online marketplace designed for migrant workers in Malaysia and Singapore. It provides easy, secure and convenient services to the unbanked, including international mobile top-ups, bus tickets, bill payments as well as remittance services. A Malaysian startup, MyCash Online will soon be moving its headquarters to Singapore. MyCash Online already received regulatory approval from the Monetary Authority of Singapore. It said it will be applying for a remittance license in Singapore in 2018. MyCashOnline is targeting 3,000 transactions per month by March 2018, tripling its current amount in two months. By the end of 2018, it aims to have 500,000 customers and at least 3,000 mobile sales representatives throughout Malaysia. The startup is also planning to launch a special payroll system that companies can use for their migrant workers instead of paying them in cash every month. Instarem is a remittance startup that aims to offer fast, safe and cost effective cross border money transfer services for individuals and businesses from countries including Hong Kong, Australia and Singapore to more than 25 countries. Instarem started operations in Australia in 2015 before moving its headquarters to Singapore. The startup is currently licensed in several countries such as Australia, Hong Kong, Singapore, Canada, and most recently Malaysia and Lithuania. The aggressive expansion followed Instarem’s US$13 million Series B funding round raised in July 2017. Singapore Life is a new life insurance firm which commenced its operations in 2017 by providing insurance solutions via its online platform. The company targets the high net worth customer segment. Singapore Life is a fully licensed direct life insurer and is the brainchild of South African-born Walter de Oude, the firm’s CEO and the former CEO of HSBC Insurance Singapore. In April 2017, Singapore Life raised US$50 million in its Series A, the largest round so far by a Singapore-based insurtech company. It also partnered with two leading insurers, Munich Re Group and Pacific Life Re. 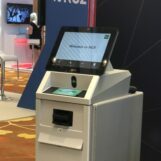 soCash has developed a solution that allows people to withdraw cash at small businesses part of its “Cashpoints” network. The solution plugs into the mobile apps of banks. soCash raised an undisclosed amount in a Series A funding round in October 2017 to scale its operations and expand its teams after signing a partnership with Standard Chartered Bank to allow the bank’s customers to withdraw cash at more than 400 points through its mobile app SC Mobile. Bluzelle Networks is a blockchain startup that’s building a decentralized, on-demand, scalable database for decentralized applications. Bluzelle Networks uses idle computer hardware by incentivizing people to rent out their resources to create a decentralized crypto-economic database network. Bluzelle Networks raised US$1.5 million in its Series A funding round in August 2017. The startup is now looking to raise US$19.5 million in a token sale scheduled to begin later this month. Bluzelle Networks is a partner of KPMG Digital Village. TenX is a cryptocurrency payment platform that consists of a wallet, physical debit card, bank account, ATM access and more. The multi-currency TenX wallet is available on Android, iOS, and web, and currently supports Bitcoin, Ethereum, Dash, and ERC20 tokens. The startup aims to offer cryptocurrency user access to as large as possible a range of blockchain assets at a maximum degree of convenience, while adhering to the highest security standards in the ecosystem. In order to do this, TenX leverages on the COMIT network to connect blockchains. In 2017, TenX raised US$80 million in its token sale in under 36 hours, one of the largest ICOs at the time. The same year, the startup was honored as the Gold Winner of the Florin Asia Innovation Awards. AGDelta is a Singapore headquartered fintech software company specialized in digital wealth management. Its core business is divided into three main product lines: Enterprise Wealth Compliance, Order + Execution Management, and Digital Advisory. 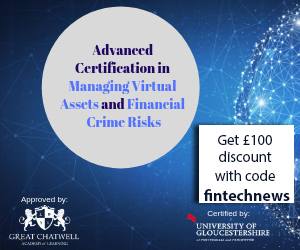 The company serves the banking industry, wealth managers and investments professionals with services that include price discovery, pre-at-trade client and product suitability, market connectivity, order request and execution management, lifecycle management, reporting and audit, and data analytics. AGDelta was awarded the first place at this year’s MAS Fintech Awards, Singapore SME category, during the 2017 Singapore Fintech Festival. Flywire, formerly peerTransfer, is a provider of international payment solutions headquartered in Boston with operations in Singapore, China, Australia, Spain and the UK. Flywire provides businesses, educational institutions and healthcare providers with the ability to offer their customers a tailored, international payment experience. The company expanded aggressively in 2017, making inroads into the Japanese education market and further strengthening its presence in Europe, notably in the UK and Ireland, as well as Spain. In Singapore, the company’s home base for the entire Asia Pacific, Flywire was recognized as one of the top fintech leaders and was awarded the first place at the 2017 MAS Fintech Awards, Singapore Open category. 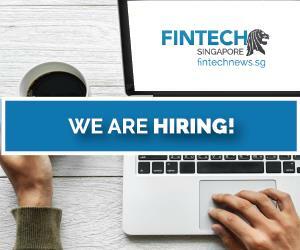 Singapore FinTech Industry: Are We Seeing a Talent Drain?